A huge dog walking favourite for my family, Priory Country Park is valued as one of Bedford towns best assets. There is lots of choice and variation of terrain and routes to suit all types of outings. Priory is popular year round with solo runners and walkers, couples, family groups, cyclists, dog walkers, anglers, birdwatchers and nature lovers of every kind. The main entrance car park is free and situated next to a thriving café. 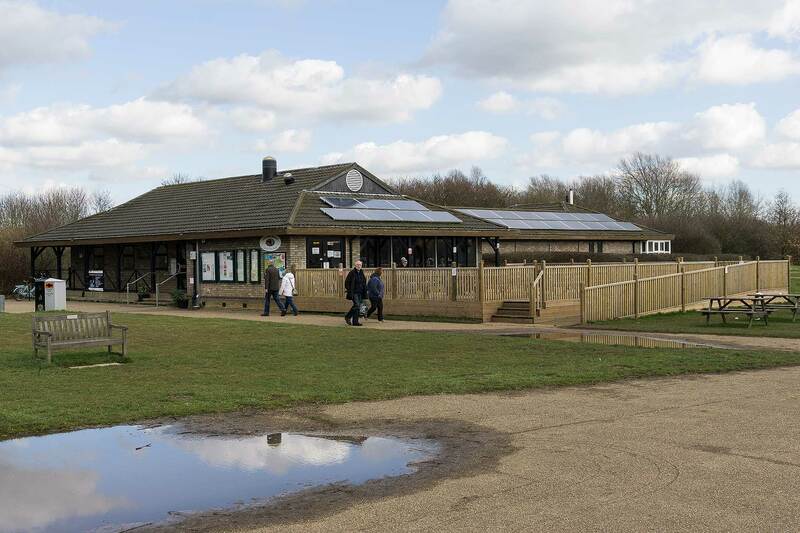 Close by is a Beefeater pub/restaurant and a small nature centre with local seasonal wildlife info displays. Trail maps are available on the Priory Country Park website (click here). It should also include descriptions of the conditions of the pathways in different seasons. I would advise wellies or decent boots if it has been raining recently. The main path is clean all the way round but being kitted out can mean more choice about exploring further than planned. Dog owners will be pleased to learn that poo bins are also a frequent sight. We used to take Lio round to the left clockwise on main path. The lake is on the right with little jetties for fishing. On the left there are small pathways running down to the ‘finger lakes’ which are great for finding Herons, Dragonflies and Damselflies. However dogs are not allowed here because of nesting. Children should be accompanied so more than one adult is required if group needs to split up to explore. On then to Lio’s favourite spot which was the little stony beach area. It’s usually busy with very happy dogs eagerly swimming out into the lake for balls and sticks. I have to mention that there are unfortunately periods in the summer when the presence of blue-green algae means that the water is dangerous for dogs to swim in or drink. During these periods prominent signs are put up warning dog owners. Lio needed to be kept on lead at these times when younger as the temptation to dive in would have been too great. Carrying on round there are several choices of direction. You could venture over little bridge towards the canoeing area where you can watch the action on practice and competition days. There are routes away from Marina out towards Danish Camp for much longer walks. Lovely with bikes and a picnic in the summer. Alternatively just continue round to the right lakeside and enjoy the trees and birds or play ball in the open areas. With dogs watch out for occasional discarded fish. Lio very attracted to these and unfortunately loved rolling around on them. For him the more pongy the better and difficult to wash off! There is a little den lakeside too, with narrow windows for watching the birdlife. Then either left to the Marina to see the bigger motor boats and canal barges. Or you could go right to see the small club where kids and adults learn their sailing skills. Option then of ending at the pub for a beer or soft drinks at the seated outdoor area of the pub while Lio dried off in the sun. We would then sometimes pick Blackberries on way back to carpark. There is also option of walking all the way to town at this point on a nice path. This path also has blackberries all the way on both sides in season. It’s a great place for a dog walk, short or long. Be dressed for the weather and aware and respectful of all the other users. The pathways can be full of distractions for curious dogs. A poorly supervised pup can get into lots of scrapes with other dogs, cyclists, small children, picnickers, anglers, and kite flyers. All this is avoidable with a bit of care. When Lio was younger we would visit at least once a week, anywhere from half and hour up to half a day. If you are looking for other good locations to walk your dog in Bedford why not read our review of Bedford Park.